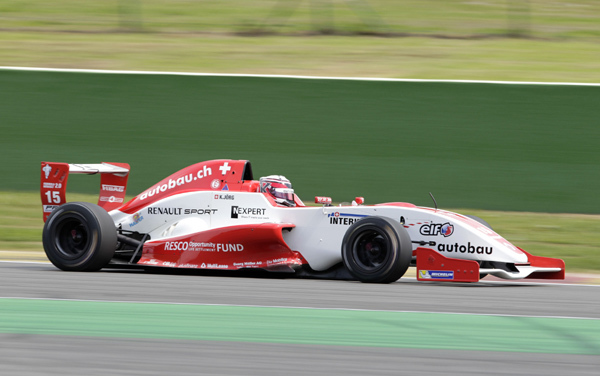 In the second session the Kaufmann Drivers showed an even better performance. 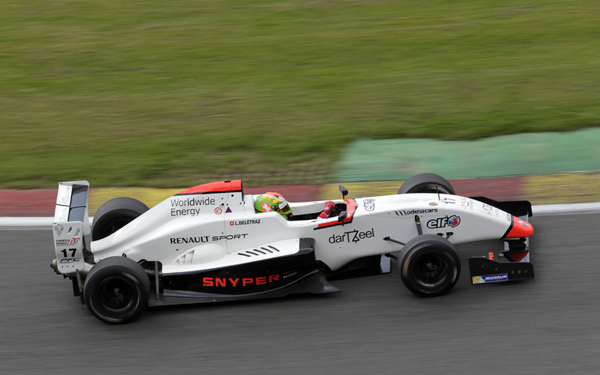 Jörg was P 1, followed by teammate Delétraz on P 2, Malja was P 5 and Tveter P 6. Qualifying 1 + 2: In the first qualifying the Kaufmann Drivers were strong and it was Jörg who took Pole Position. Delétraz on a good P 5, Tveter on P 10 and Malja on P 14. In the second qualifying Jörg took Pole Position again. Delétraz on P 4, followed by Malja on P 5 and Tveter on P 11. Rcae 1: In the first race Tveter and Malja drove a superbe race and moved up a lot positions. 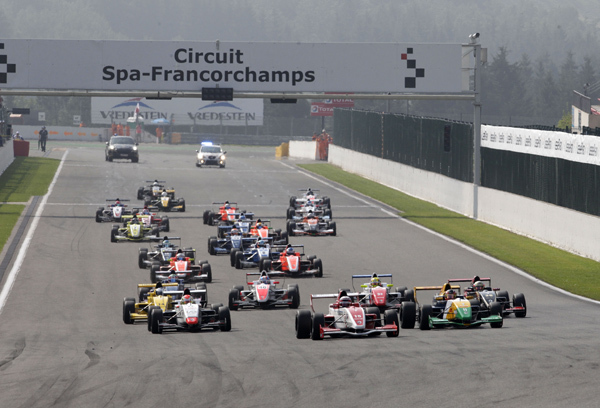 Malja was able to take P 6 and Tveter finished right infront of him on P 5. 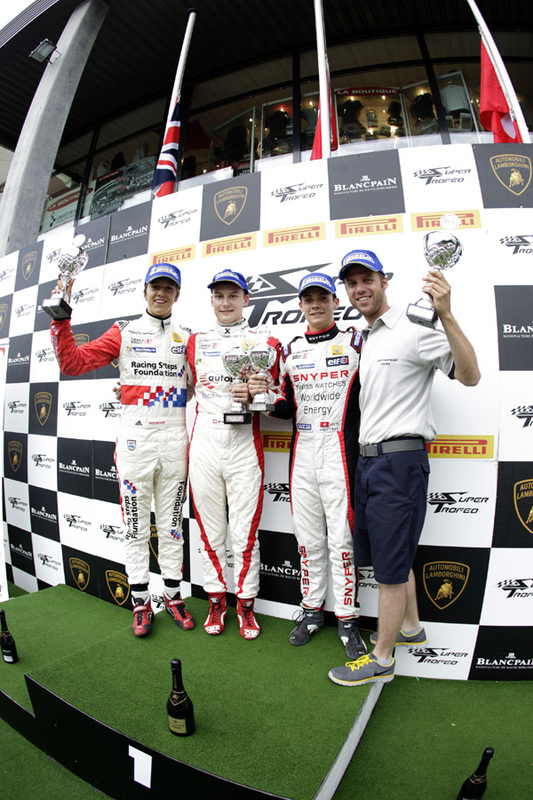 Louis Delétraz also overtook some drivers and finished on a fine P 3 and took another podium. At the lead it was Kevin Jörg who pulled more than 9 seconds away from the whole field and secured another outstanding victory. Race 2: In the second race Tveter spun and droppped to the end of the field. He finished on P 15 in the end. In the front it was Kevin Jörg again who was leading the race. Delétraz and Malja both moved up one position and they were running on P 3 and P 4. After two incidents the Safety Car came out twice and the race was finished behind the Safety Car. Jörg crossed the finish line on P 1, Delétraz on P 3 and Malja on P 4. 2 hours after the race, the Stewards of the meeting penalised Jörg with a 30 sec penalty for a jump start, which actually was reported after the race only. Due to that fact, Delétraz finished on P 2 and teammate Malja on P 3.